At Throne of Grace, we hope to give our customers and blog readers a better understanding of the privilege God has given us to be intercessors through prayer. We desire to instill a passion for prayer, and equip you to live and leave a legacy of prayer. I have to share with you a little game my husband plays. It’s called, “Who is Molly talking to?” He thinks it is hysterical that he can guess, with fairly good accuracy, who I am talking to on the phone, based on how I answer the call. So, according to Kevin, when I answer, “Oh hi! How are you? It’s so good to hear your voice…” and my voice goes up in pitch and I begin to talk excitedly and with faster pace, he knows I’m talking to one of my best friends, Jeanette, who, until recently, lived in Virginia. If my voice is very pleasant but matter-of-fact, “Hello. Oh, that would be great. Thank you! Yes, I appreciate that…” it is a business call. But the ones that make him laugh the most are when my mom or sister call. He can’t tell the difference between the two but he knows it is one of them because there is no start to the conversation. We talk as if we are picking up in the middle of a conversation – which we usually are! We talk frequently and we may be finishing a conversation that had begun in a text message or email, and the phone just continues it. So what does this all have to do with prayer? I see prayer falling into two categories – Film Strip Prayers and Snapshot Prayers. Snapshot prayers are like those conversations with my friend, Jeanette. They start and stop with God and are segmented into certain times we can talk. There is often much time in between conversations. Until Jeanette moved to California this past August, we were separated by thousands of miles and a three-hour time difference. That made connecting difficult. Film Strip prayers, however, are continuous. Each frame represents just one moment in a long line of frames. Our prayers continue throughout the day and are all connected like one big conversation with God. I believe God desires for us to pray Film Strip Prayers. Film Strip Prayers allow us to be more effective as intercessors and allow us to dream big with God. They help keep us connected to the Lord and integrate Him into every aspect of our lives. But with our busy schedules, the practical aspect of maintaining an on-going conversation with God can seem unattainable. Guess what? It’s actually quite easy to do and I’ve got a few simple tips to boost your prayer warrior power. 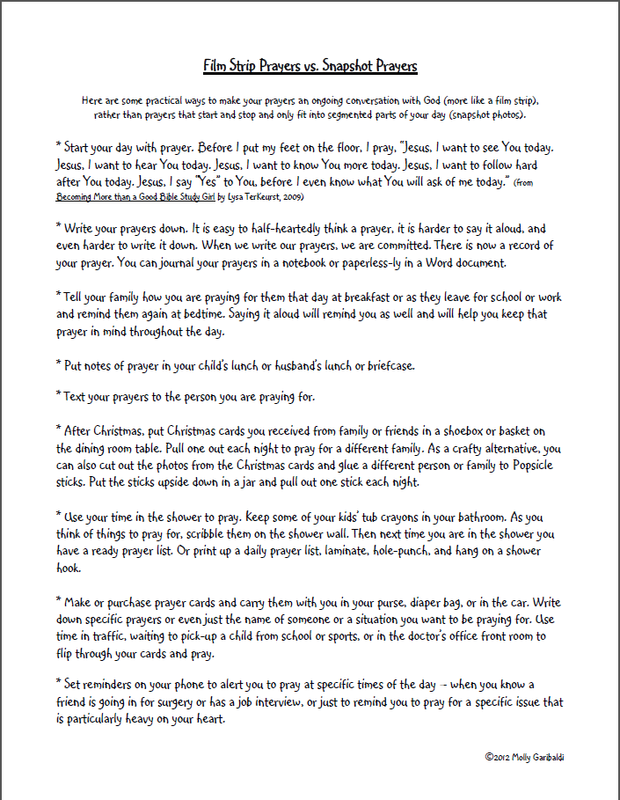 Click on the image below to link to a FREE resource I’ve created called “Film Strip Prayers vs. Snapshot Prayers”. 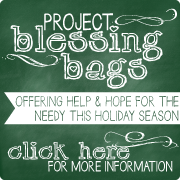 The file is in PDF format and you are welcome to print it and share with friends! How do you make prayer an ongoing part of your day? If you’ve got tips of your own to share, we’d love to hear them! Leave us a comment below with your ideas and/or questions.